There are a lot of things science cannot explain. But most of them seem to linger in the less explored areas, such as space or sea. Occasionally, discoveries are made in our regular places that don’t make a lot of sense or at least make us wonder how on earth did someone pull that off. These mysteries of Indian temples project that same astonishment asscience remained mum to their mysteries. In the year 1997, during some construction process near the temple the workers found another temple of ‘ Nandi ‘ (a statue of bull which is called the vehicle of Lord Shiva) buried. As they further dug out the temple, a small pool of water was found inside the temple and even the Nandi was ejecting clean water from its mouth which flows to the shiva linga. However the source of water for both of them is yet unknown. 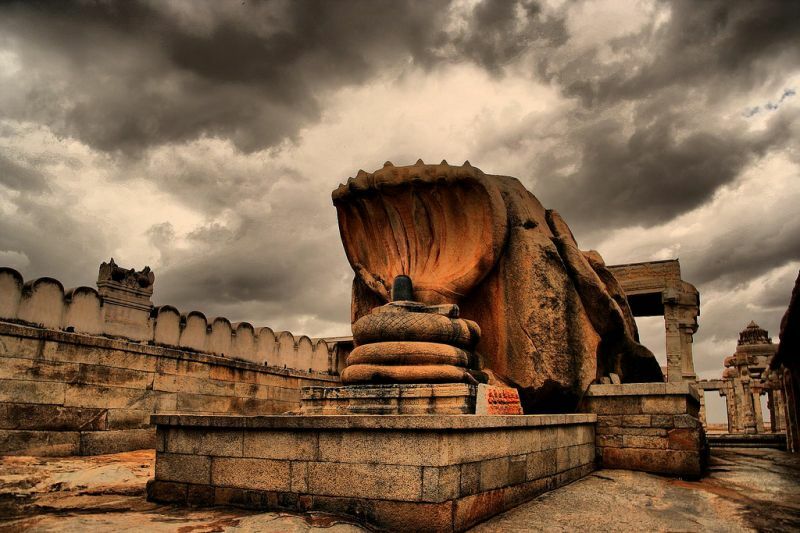 Located in Anantapur district of Andhra Pradesh, the Lepakshi temple is famous for its ‘Hanging Pillar’, literally. Of the 70 structured and carved pillars inside the temple, one does not touch the ground. Devotees regularly pass thin objects like clothes or papers from under the pillar to test the theory and be amazed. They even believe doing so would bring them prosperity. That is for another day to discuss but how the weight of the pillar could be supported without it touching the ground remains the real mystery. 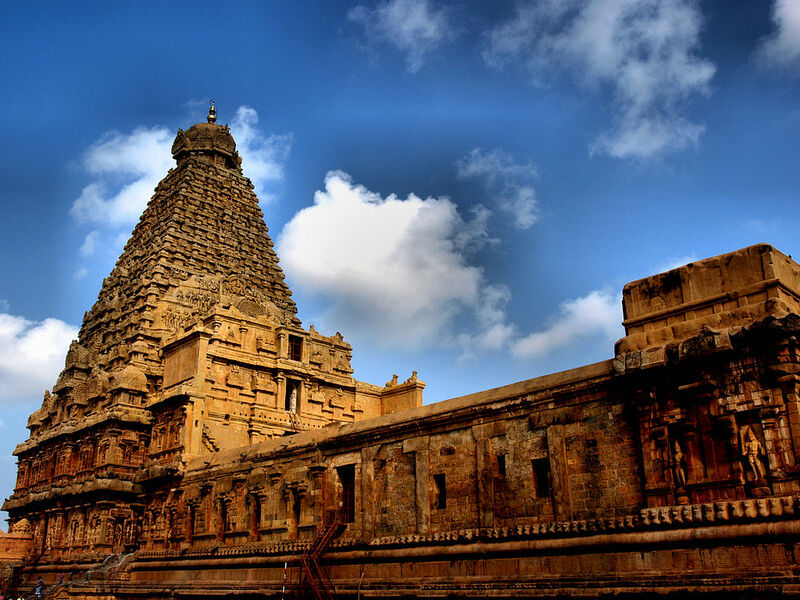 Hailed for its architectural beauty, the Brihadeeswarar Temple is located in Thanjavur, TamilNadu. Most of the temple is carved out of pure granite which is astonishing in itself as there were no granite sources found anywhere within 60Kms of the temple. The temple’s apex, called the ‘Gopuram’ is found to be made out of a single stone now weighing 80 tons. Considering the granite reserves were so far away, how they managed to mount it in place has only theoretical explanations so far. It is also known as the disappearing temple of Gujarat. Because it disappears. Really! It is located at the bay of Cambay on the beaches of Jambusar city. It is said to be about 150 years old and there is nothing remarkably special about the temple itself, until the high tide arrives that is. 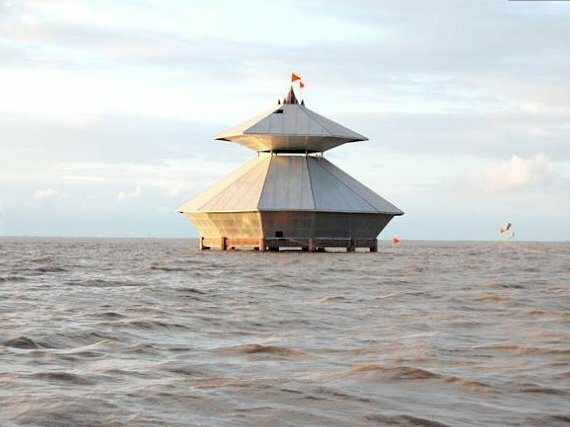 During this time, the temple is completely submerged under water and disappears from sight and reemerges once the tide passes. The devotees usually make their offerings during the morning when the tide is low and stay late into the evening to watch the temple slowly go down. Weather this was intended by the architects was unknown, but it still remains a sight to behold. 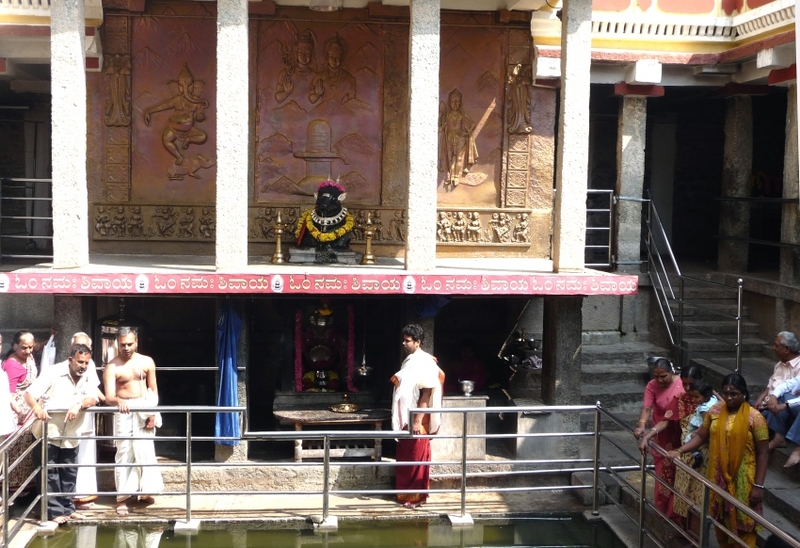 It is a Hindu temple located in Thiruvananthapuram, India. The temple has what seem to be seven secret vaults. On the supreme court’s request, the committee overseeing the temple has opened 6 of those vaults unveiling ornaments of gold estimated to be worth over 22 billion dollars. Now the 7th vault has steel doors with no latches or bolts. It has carvings depicting 2 cobras. It is believed that the door is opened only by a secret chant and any other means would bring catastrophes. It is considered both a mystery and highly dangerous. These are just a few of the countless mysteries of Indian temples. India is truly a land of wonders. Incredible India, indeed! Plan your trip to these amazing places only with AHA TAXIS. Woww, never thought something like this existed, will definitely visit all of ’em. Do you have taxi service from Moradabad to Agra. If yes, what is the likely fare one way? Wow. its wonderful and interesting.Thanks For sharing post. I was totally amazed to read the mysteries behind these temples. My faith in Hindu Dharam has found an answer now at 80 years. 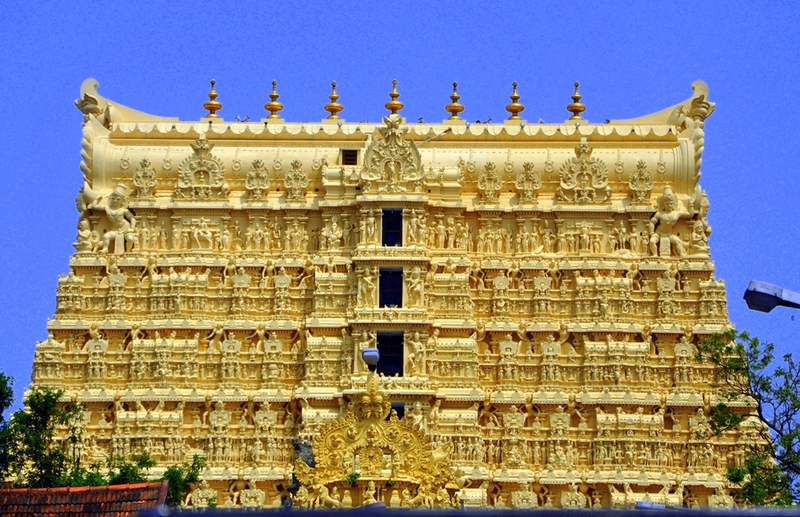 Great blog about temples in south India along with architectural history with magnificent historical facts. We have also listed more than 1,00,000 Hindu temples around the world with history timings, pooja details and much more on our website.